Out of all three of the paths available to the 5th Edition D&D monks, one of the least popular has to be the Way of the Four Elements. Much like the popular anime series, Avatar: The Last Airbender, the Way of the Four Elements monk can use earth, air, fire, and water in their attacks and abilities. 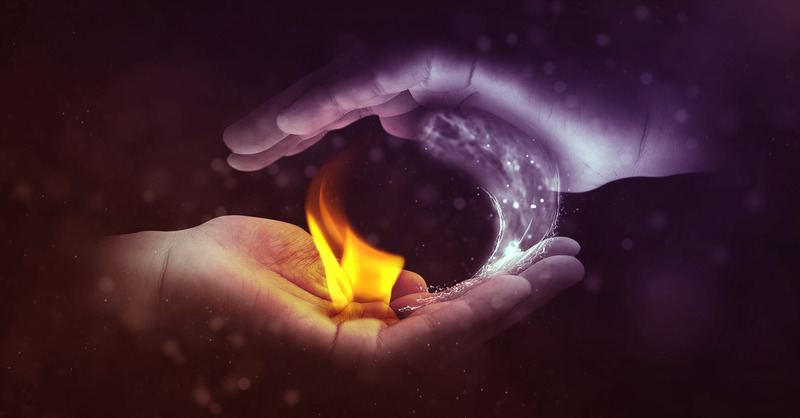 Although there are a lot of different abilities associated with this path, one of the most interesting (and overlooked) skills is called “Elemental Attunement”. Similar to prestidigitation, it is the only ability for this monk path that does not require ki and it easily provides the most room for actual roleplay. Create a harmless, instantaneous sensory effect related to air, earth, fire, or water, such as a shower of sparks, a puff of wind, a spray of light mist, or a gentle rumbling of stone. Cause earth, fire, water, or mist that can fit within a one foot cute to shape itself into a crude form you designate for one minute. Now, the most important thing to note is that there is no limitation as to how many effects you can have going at once. However, while I expect a DM would put a limit on it, having two to three effects going at at time would probably be permitted by most DMs. It should be noted that there is quite a bit of ambiguity in the way that this ability is worded, so you’ll need to talk to your DM about what they will allow. We’ll get more into that below. First, here are 25 ways to make the most out of elemental attunement. The important thing here is that the effect must cause zero harm, and that it must be a sensory effect such as smell or touch. The key here is that it says “chill or warm” not “freeze or heat.” Keep that in mind; the temperature change is meant to be slight and shouldn’t be enough to cause ice or burn anyone. Out of all of the different parts of elemental attunement, this is both the most useful and most ambiguous. Regardless, the below options should all work whether your DM is literal when it comes to rules or not. Elemental Attunement is, as mentioned above, very vague and leaves a lot of room for interpretation. For that reason, you will want to talk to your DM and find out how they are going to interpret the ability description. Are near-elements such as stone, sand, ice, lava, or smoke included? Can the monk create the elements they are working with? What happens after the magic has passed? Do the elements disappear or return to their original state? How big can shaped objects become? Are they limited to 1 square foot, or is that just the volume of material, leaving shape up to the monk? Can elements be condensed as part of the shaping? For example, could you make the ground into quicksand or compress air to exert pressure? Could you create a suction or vacuum? As with most things, make sure that you talk with your DM to find out what limitations they wish to impose before you hinge a plan on it. Did I miss a great use of this ability? Tell me in the comments below! Seems a bit like a less versatile prestidgitation, a bit more powerful, but my DM doesn’t rule much out unless I try to use my magic sword(d20+d8+5) as a ranged weapon. Yeah, it pretty much is the monk’s version of prestidigitation, and there are TONS of things you can do that aren’t listed here. Most players really don’t use it to its full potential. Thanks for your comment! Enter your email address to receive all my new posts by email! No spam, just cool D&D stuff.